OKLAHOMA CITY, Okla. — There’s no stopping Orlando City’s first-ever Major League Soccer signee. Kevin Molino’s third goal in two games sealed the deal after Dennis Chin’s 25th minute opener, as Orlando City SC defeated the Oklahoma City Energy FC 2-1, on Saturday night at Pribil Stadium. Dennis Chin put Orlando City on the scoreboard in the 26th minute after a header from midfielder Adama Mbengue deflected off OKC Energy goalkeeper Jon Kempin, leaving the Oviedo, Florida native in position to execute on the rebound. OCSC doubled the lead in the 57th minute when Energy defender Mark Howard played a ball back to Kempin, it wasn’t enough as the weak pass resulted in Molino applying pressure on Kempin. The Trinidad and Tobago international was able to beat the goalkeeper for the ball, as he slotted the ball into the net. With the game looking like a shutout victory for Orlando goalkeeper Miguel Gallardo, second-half substitute Steven Perry scored late into stoppage-time after he was able to breakthrough the defense, slotting the ball behind Gallardo. The Lions entered Saturday’s match after defeating FC Dallas Reserves earlier in the week, 3-2. Defender Rob Valentino, who picked up an ankle injury during the match at Dallas, sat out against the Energy after being ruled out for two weeks. The Lions and Energy will face off again next week, when OKC visits Orlando at the ESPN Wide World of Sports Complex during USL PRO play. 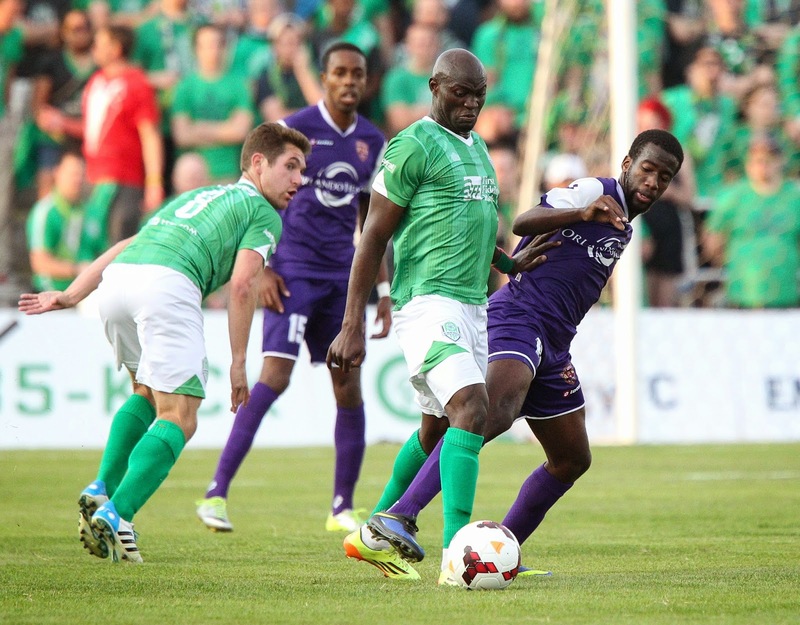 Orlando will have a mid-week battle when they also welcome the Tampa Bay Rowdies in the first leg of the I-4 Derby.